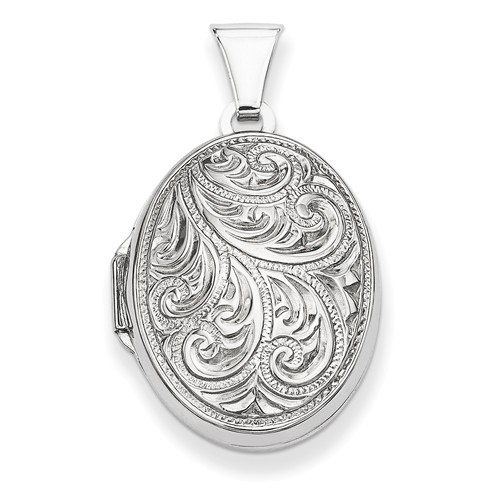 This scroll design oval locket is made of polished sterling silver. 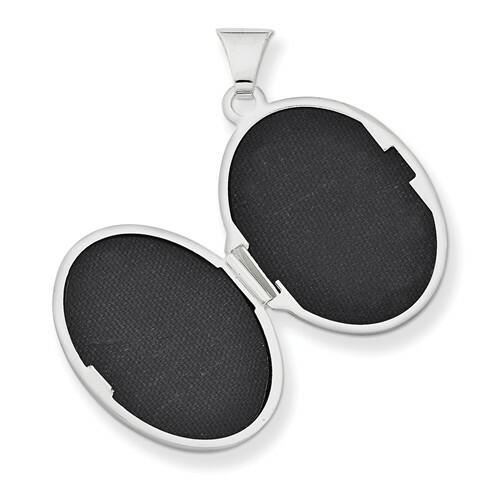 Measures 3/4 inch tall by 9/16 inch wide without the bail. This item is slightly larger than a penny. Weight: 1.8 grams. Made in USA.